Management jobs are expected to grow in the next seven years. According to the US Department of Labor’s Bureau of Labor statistics, this will produce roughly 807,300 new jobs. But will employees who are good informal leaders now be ready to assume these management jobs in the future? With the rise of new companies and their subsequent growth, more management jobs are going to be available. But, you want the right people with the right skills in these seats. It can’t just be anybody who does well in sales or other functions. Frequently these jobs do not necessarily translate well to leading people. A good sign of skilled potential managers is that your candidates already possess key people management skills. 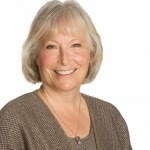 Candidates have already proven they communicate well and clearly, coach co-workers who are struggling, facilitate problem solving and resolve conflict in collaborative ways. This is in addition to the technical skills required on the job. On top of that, their visible behaviors support trust, interdependence, genuineness, empathy, risk and success in their departments. These six principles are research-based and measurable in department behavior. They are required to build high performance teams and work groups. These six work group development principles, also show you through their omission where your workforce development and work culture dynamics have gone off tract. They also prescribe how to bring group behavior into balance. 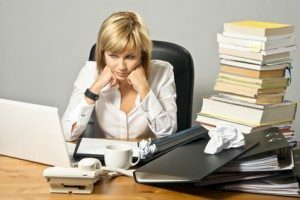 Once in balance, management roles, company initiatives, department goals and work relationships result in more productivity or cost saving outcomes. Is preparing for management jobs now worth it? Is preparing for management jobs now worth the personal development effort even if you do not receive leadership training from your organization? Yes. Being in this type of role can pay off. The Bureau of Labor Statistics found that the median annual wage for a manager is $102,590. Management jobs, however, do not pay off when skills and behaviors, like the ones mentioned above, are lacking. This is because high turnover from untrustworthy, competitive, non genuine, non empathetic, micro-managing managers drains your bottom line like a leaking sieve. Why preparing for management jobs advances your career. It’s rare to find skilled managers. This seems like a bold statement. However, in a recent study by SkillSoft, only 20 percent of respondents gave a high rating to their organizations’ leadership skills. Their rating? For employees giving their organization high leadership scores, the rating averaged eight on a scale of one to 10. However, 57 percent of respondents rated their organizations’ total leadership skills six or lower on the 10-point scale. So what does this mean? If a bell curve applies like scoring a test in college, this means that three in five organizations are actually receiving failing scores in leadership readiness for management jobs. Some employers, however, are moving toward the democratization of leadership. 63 percent of the SkillSoft respondents believe that collaboration is the catalyst. This is followed by the attitudes of younger employees and eventually the need for more innovation. 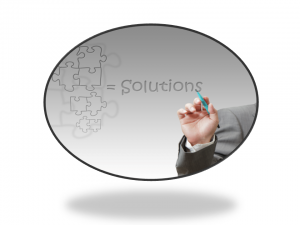 Understanding how to build and manage teams to collaboratively work toward solutions. These skills require expert levels of procedural communication. They do not require that the manager or leader knows more about the innovation than your most talented IT workers and engineering team members. Facilitating decision-making and root cause problem-solving. When employees work toward building their leadership skills to assume future management jobs, one of the best ways to develop skills is to contribute to company-wide problem solving that either saves money or boosts productivity. In this way, efforts can be measured and contributions quantified. What resources can prepare employees for management jobs? 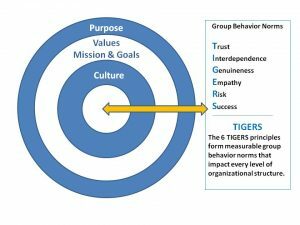 TIGERS 6 Principles™ leadership micro-training helps employees with leadership potential learn behavior skills that make participating on projects more successful. This training teaches potential leaders how to build trust, interdependence, genuineness, empathy, risk resolution and success in their own performance and in work groups. The training gives new leaders and people wanting to assume leadership roles valuable self-guided training that is offered on-demand for a year. Participants can revisit training topics anytime during the year. Often the most teachable moment arises during the year as leadership growth meets opportunity in organic ways. This training also teaches the behavior skills that successful leaders must demonstrate to build work groups and teams. Why a positive attitude toward failure is important. Good leaders didn’t get where they are today overnight. Many went through considerable trial and error. Although learning by doing is an excellent way to learn, failure is often seen as a liability rather than just one more step in the learning process. So what can failure teach you? Learning your strengths and weaknesses is one of the first steps in reaching for management jobs. Strengths are activities that are easy for you. These are your natural abilities. For example, some people are excellent communicators. Others are strategic. Others are good teachers and coaches. Very few people embrace it all. Therefore, weaknesses come harder and take focus and practice to master. Without this understanding, people do fail. Sometimes that failure can come at an expense if learning from mistakes is not viewed as opportunity. For example, the former founder of Costco, Jim Senegal, was strong in strategy, direction and analysis. Most people who build multi-billion dollar companies are driven and do get things done. Initially he was demanding, closed, and off-putting. However, you would never know this about him. He developed the capacity to question, actively listen, and respond to employee questions and observations with patience. So learn from mistakes. Learn to be flexible. Reason through how you failed. Keep trying. Stay positive. Once you’re able to accept that failure is a part of leadership, you’ll learn to become an effective manager for your employees who will also make mistakes. What this means for management jobs going forward. The historically tight labor market we have today coupled with emerging technologies puts people managers in the spotlight. Therefore, being successful comes in multiple forms–including your attitude toward work and how you communicate. For example, no one wants a grumpy boss to be their leader. Successful managers must be able to work with all employees. Like Jim Senegal, they also need to listen and be willing to improve. If you’re trustworthy, genuine, empathetic and willing to take calculated risks, your potential as an effective leader is strengthened. On the other hand, defensiveness, conflict problems, the inability to confess mistakes and procedural errors that come from unclear communications result in lost productivity. This is costly. When you’re a great manager, your entire work culture improves. Management jobs are on the increase and becoming more important. If you are an informal leader, preparing for management jobs now puts you in excellent shape to assume a management position tomorrow. Use your time now to learn important skills and don’t be afraid to make mistakes. Learning from them makes you a better leader and builds greater understanding for co-workers and employees. Care to dig deeper into this management jobs conversation? Create a Culture of Collaboration with Team Building Strategies.